Conveniently situated off Interstate 80 and less than four miles from the Reno-Tahoe International Airport is the recently upgraded Holiday Inn Reno Sparks. Guests who are driving to the hotel can take advantage of free parking, while guests who are arriving in the area by way of plane can interest themselves in the complimentary airport shuttle service. As for things to do once they settle in, guests of the Holiday Inn Reno Sparks might not know where to start. The hotel is close to everything that the Reno-Sparks region has to offer. This includes a number of glitzy casinos and beautiful Lake Tahoe. It is hard to find fault with the wonderful location of the Holiday Inn Reno Sparks. Also highly agreeable are the hotel’s guest units and its mix of facilities. Granite bathroom surfaces and flat screen TVs add an upscale edge to the rooms and suites, and guests have the option to request high-speed internet access, microwaves and fridges at no extra cost. These aren’t the only in-room amenities that are available, however, and it should be noted that there are a few different guest unit categories. 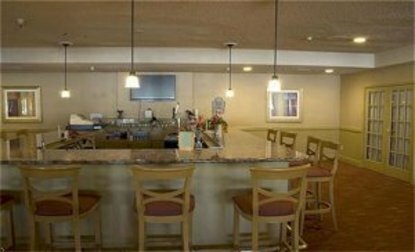 These categories include standard Guest Rooms, Executive Club Level Rooms and Suites. As for the general facilities at the Holiday Inn Reno Sparks, highlights include a seasonal outdoor pool, a full-service restaurant and bar where kids eat for free, a 24-hour fitness center and a business center. Guests might also look to take advantage of the 9,030-square-feet of meeting and event space.